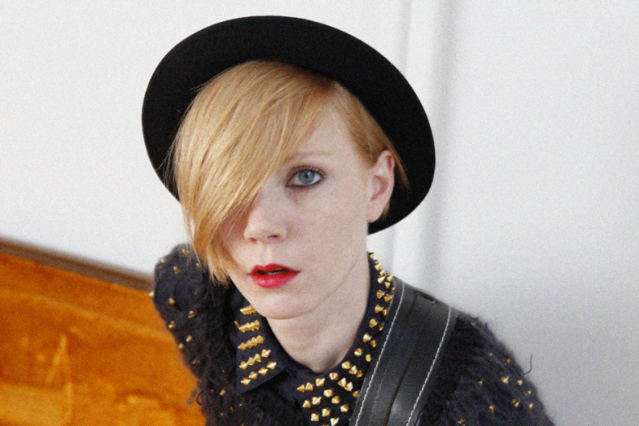 Back in 2009, guitar-slinging New York City fashionista Lissy Trullie turned heads with her Self-Taught Learner EP, a stylish collection of lean New Wave rock. Three years later she’s finally set to release her self-titled full-length debut. The album is a more fleshed-out affair, as standouts like “Rules We Obey” and “Spit You Out” feature horns, keys, and lush, expansive melodies sung in Trullie’s endearingly husky croon. Thankfully, her music is no less attractive for being more boldly arranged. And anyway, these yearning, romantic songs would sound good backed by kazoo and castanets. Lissy Trullie is out April 10 on Downtown records.